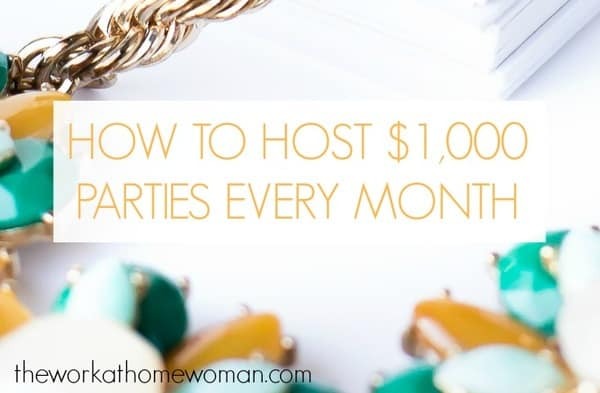 Every home party consultant deserves to have $1,000 home parties. As a matter of fact, YOU should have a few $1,000 shows EVERY single month! It is attainable, and it is not that hard when you put some simple systems into place that will make it a reality. When you coach your home party host — you are teaching her or him how to have a successful show. You are not being pushy! 1. Contact Your Party Plan Hostess Often. The number one fear of hostesses is that no one will come. Your job is to make sure that does not happen. Hostesses WANT to be called. 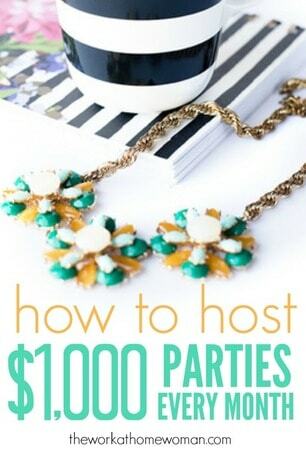 You are the home party consultant, and YOU should be coaching your hostesses to success. Every host wants to have a successful show, so why would it be pushy to help them to do so? When you use ALL sources of contact for each host you will definitely be able to connect in their preferred channel of communication. 2. Contact Your Home Party Hostess Three Times. Put a system in place that assures that you are contacting every host at three important points prior to the show. 3. Set the Bar High. Your system should always coach them to set the bar high. Explain the benefits package to them and guide them to the first goal level and to the REALLY big show level. If your company show average is $300, then you should talk about the benefits package from the perspective of a $500 show. Your host will always consider the number you say first as average and make that their first goal. You would then ask them to consider hosting a large show. After explaining the benefits based on a $500 show — guide them to the information for a $750 show and inspire them to higher levels. 4. Excellent Consultants Inspire Hosts. Hostess coaching is really about inspiring your hosts and teaching them how to achieve successful results. Happy hosts always rebook and happy hosts pass your name onto their friends. When you put systems into place that work for you to create happy hosts — your sales will increase and your cancellations will go down. Looking to build your direct sales team? Check out our Marketplace for direct sellers. Deb Bixler teaches party plan training and systems that make your business roll along effortlessly. Visit the Cash Flow Show for more hostess coaching tips because YOU deserve a $1000 show, and so does your hostess! Every distributor should have 3-5 $1000 shows every month!! Make a plan and it will happen! Thanks for sharing your wisdom, Deb! I also love what you said last month about tapping into 7 different sources to find new business.